The Brentex Division manufactures fabrics on air jet and projectile looms using open-end, ring, and vortex spun yarns and texturized filament yarns. Bleaching, dyeing, finishing and post-finish applications are provided within Mount Vernon. Brentex also produces pocketings and other apparel trim items. 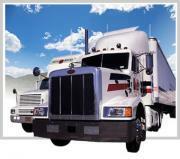 Manufacturing operations are located in Cuero, Texas, and Columbus, Mississippi. End use products include pants, shirts, outerwear, home furnishings including drapery, interlinings, sheets, decking, and awnings, tapes, book bindings, artists' canvas, gloves, abrasive fabrics, pocketings and trim items, military apparel components, electronic composites, tablecloths and napkins, coated fabrics, flags, surgical towels, boat covers, filtration media, and beltings. Mount Vernon Chemicals LLC, a wholly owned subsidiary of Mount Vernon Mills, Inc., is home for all the chemical operations of Mount Vernon. Mount Vernon Chemicals has three principal divisions - Apollo, PhilChem and FCI Technology. A key area is wet chemistry, and includes the business purchased from CPC Chemical Holdings in 2007. Production facilities are located in Burlington, North Carolina, and Opelika, Alabama, operating under the Apollo Chemicals banner. Products include a variety of chemical auxiliaries for textile dyeing and finishing (such as lubricants and softeners), as well as chemicals for personal care and other non-textile uses. Apollo ® products are sold around the world, especially in Latin America. For more information, see our website at www.ApolloChemical.com. PhilChem is a leading supplier of textile sizing and other dry chemical products (such as adhesives) to customers throughout the world. PhilChem's manufacturing operations are located in Greer, South Carolina. For more information, see our website at www.PhilChem.us. The third key area is FCI Technology, a major supplier of a diverse range of chemicals across many industries and markets. FCI has unique capabilities, able to match customers with special needs with suppliers they might not otherwise find. FCI's offices are located in Gastonia, North Carolina, and it operates warehouse facilities in Ware Shoals, South Carolina. For more information, see our website at www.FCITechnology.net. Providing support for the varied operations of Mount Vernon's textile, chemical and transportation businesses is no small undertaking. Mount Vernon Corporate, located in Mauldin, South Carolina, oversees the massive amount of information and data that flows into this multifaceted corporation each day. The company employs 2,700 people at facilities in Alabama, Georgia, North Carolina, South Carolina, Texas, and Mississippi. It is composed of six groups: Apparel Fabrics (AFG), Consumer Products (CPD), Chemicals, Brentex, La France Industries, and Transportation. Each group represents various product diversities. And just as the fiber is opened, cleaned and aligned in textile manufacturing, Mount Vernon Corporate plans, implements, and directs all group operations within the family. It's accomplished through a 'Centralized Policies/Decentralized Management' approach. Corporate monitors such aspects as company systems, marketing/strategic planning, customer sales and service, regulatory issues, finances and accounting, environmental controls, and human resource policies. Each individual operation oversees its own product functions, day to day running of the mills, and achieving their corporate goals.